Marie Carrington doesn't have enough money to buy a ticket to Prince Edward Island or lunch, for that matter. 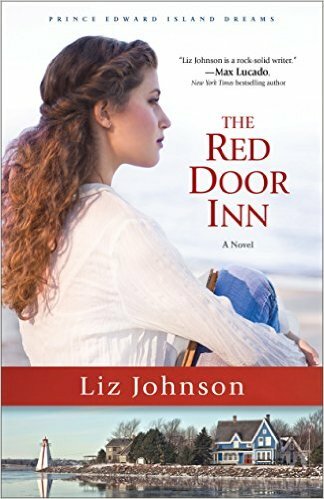 When Jack Sloane offers to buy her a ticket so she can help him decorate the B & B he's renovating, she reluctantly agrees. She needs somewhere safe to heal and the picturesque island seems like the perfect place to do it. Seth Sloane moved across the country to help his uncle renovate the B & B and escape the heartache from his fiance leaving. Seth suspects Marie as having some sort of plan to hurt his uncle and Marie can't stop the panic attacks and jumpiness whenever someone gets too close. "The Red Door Inn" is the first book in the "Prince Edward Island Dreams" series. I had this book sitting on my table waiting to be read for more than a week. I had so many things to do to get ready for Easter and my daughter's birthday, I couldn't find time to read. It turned out to be a good thing I didn't start it sooner as once I started, I didn't want to put it down! I started it one evening and finished it the next afternoon. I found the book to have the right pace and it flowed nicely. It revealed the details of Seth and Marie's past at the right speed to not make me frustrated or give away too much too soon. It was nice to watch the characters' growth through the book and how they overcame their pasts to be able to move forward with their lives. I am looking forward to reading the 2nd book in the series when it comes out this fall. I received a free copy of this book from the publisher in exchange for my honest review. All thoughts and opinions are my own and no other compensation was received. With both Easter and Emi's birthday this month and all the things that I had in getting ready for them, I didn't do as much as I would have liked. 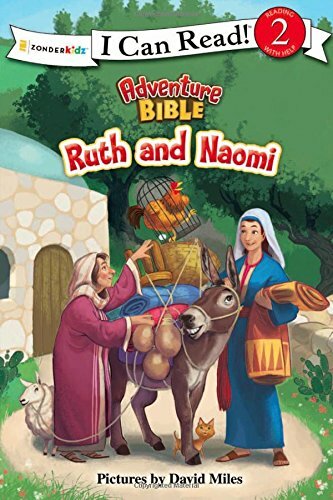 This book is a simple retelling of the story of Ruth and Naomi from the Bible. It is geared toward kids 4-8 years of age and is classified as "Reading with Help" level 2. 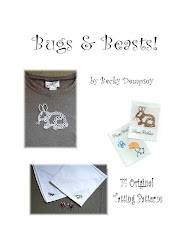 As with other books in this series, it has bright colorful pages and easy to read sentences. The book mostly follows the Biblical account of the story with some simplification (it doesn't talk about the Kinsman redeemer aspect). There were a few things that bugged me about the book, however. 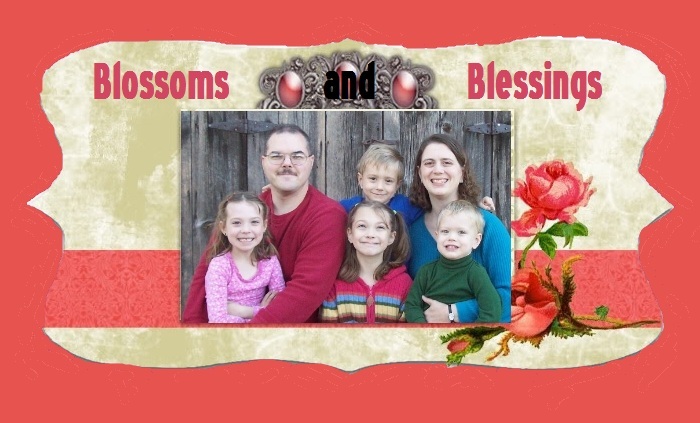 First, it opens with Elimelech, Naomi, Mahlon, and Chilion pictured at home in Israel. The boys appear to be about 4-6 years old. It says that they "had to move far away". The Bible just says that they moved to Moab and I always got the impression it was a lack of faith that caused them to leave. But that could be my own opinion, I guess. But the very next page in the book mentions "one day...Naomi's husband died and later, her sons died, also". No mention of the ten years they'd been there and suddenly there are wives of the sons. It is confusing as to why there are wives when the boys seemed to be so young. I thought that would be confusing to kids. When Naomi returns to Israel, the book says she was happy to be home. The Bible seems to disagree since Naomi told everyone to call her Mara which meant "bitter" (doesn't seem to happy to me). Also the book says that Naomi was so thankful that Ruth and Boaz got married that she jumped in the air. I felt this was quite a stretch from the Biblical account. Overall, I thought the book was nice and would be good for beginner readers to be able to read stories from the Bible. I would just recommend having them read it to you so you can supplement and explain further. I received a free copy of this book to give my honest review through the zblogsquad program. All thoughts and opinions are my own and I received no other compensation. Normally, I have birthday parties on the Sunday closest to the actual birthday. This year, Emily's birthday was 2 days after Easter, so I figured that wouldn't work for having her party. 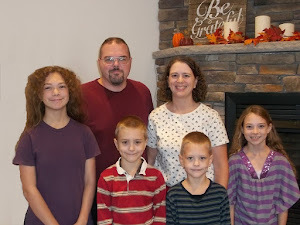 My extended family on my mom's side gets together every Thanksgiving and Easter, so I decided to have Emi's party at the Easter get together as everyone that would be coming to Emi's party would be there. I baked extra cake to make sure I'd have enough for everyone, and had a lot left over since not many people had cake, so I could have saved myself a lot of work and not made so much. 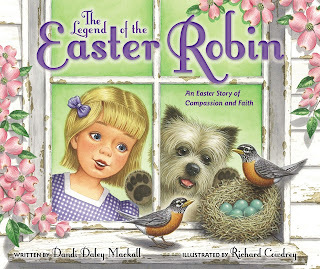 "The Legend of the Easter Robin" tells the story of Tressa and the robins who build a nest on her grandmother's window ledge. I really liked how Tressa's grandmother told Tressa that God was in charge and would care for the robins. The pictures are bright and colorful except for the pages that tell the story of Jesus' crucifixion, which are gray and somber in keeping with the subject matter. Tressa's change of perspective was nice at the end. 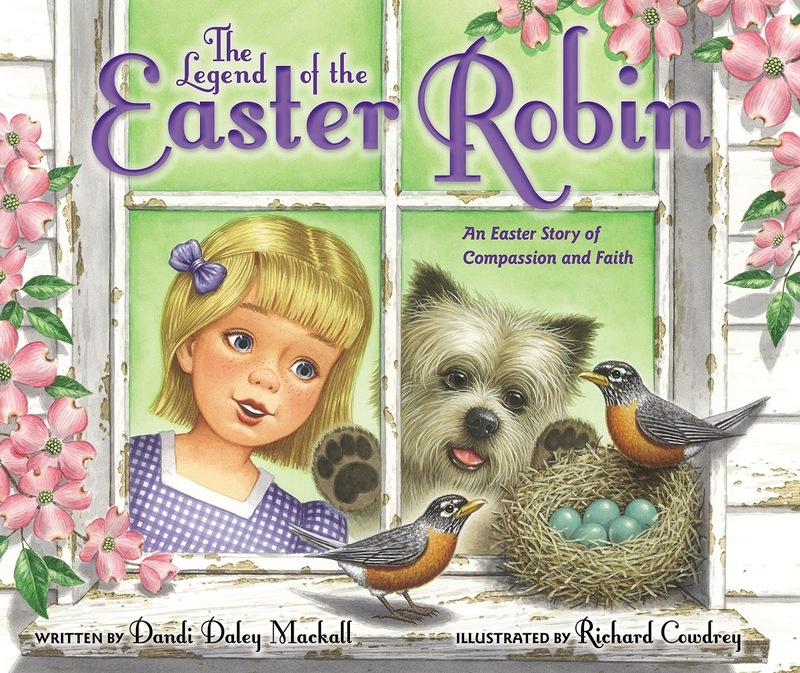 I have a bit of a problem with legends telling how an animal came to be the way it is since God created them the way they are, but it is an interesting story on how robins show Jesus' suffering and love. I did like the page at the end that explains the legend and how we can use it to strengthen our faith and give us reminders of God's love. One technical detail that stood out to me was the fact that you almost never find the egg shells under the nest (the parent flies them away and drops them so predators can't find the nest) and baby robins hatch on staggered days just like they are laid on staggered days, not all at once. But the author probably just simplified the truth to fit the story. I received a free copy of this book from the zblogsquad in order for me to give an honest review. All thoughts and opinions are my own and no other compensation was received. We have a few things that we like to do every year at Easter time. We were able to spread them out a little this year with having the extra day off due to the ice. This was especially helpful to me as Emily's birthday is Tuesday and I was doing things to get ready for her birthday party yesterday besides doing Easter things. My stair steps aren't really steps anymore! When it was so cold on Thursday, I thought we'd have a really cold Easter, but it turned out to be a beautiful day in the mid 60's. Our poinsettia thinks it should be blooming for Easter, apparently!